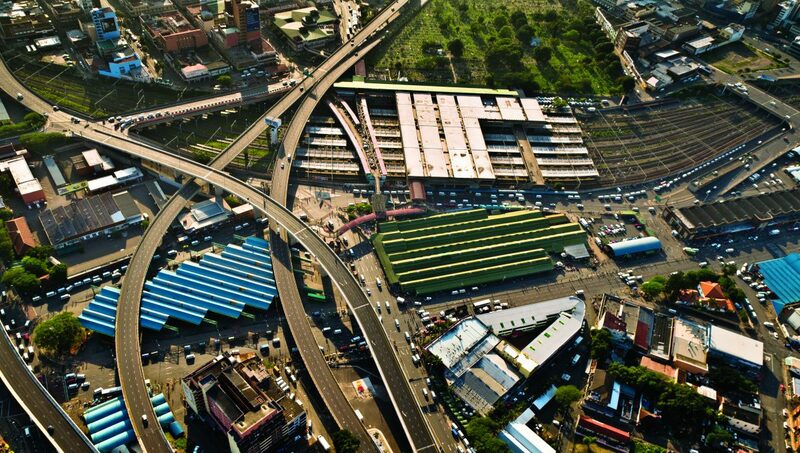 Warwick Junction is the main railway station and urban gateway of Durban, one of the biggest metropolitan areas in South Africa. 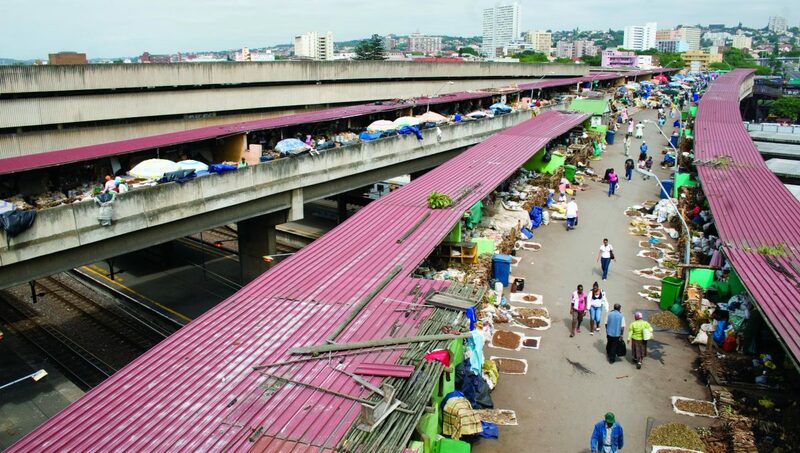 Located at the border of the city centre, during apartheid it was the sole entry to the city centre for the black population: a deliberate concentration of traffic flows from rural and semi-urban Durban into the ‘white city’. Roads, walkways and pedestrian bridges criss-cross the area, which is only 10 minutes form the city centre. Over 460,000 commuters pass through the transport node every day, making use of the main railway station, the five bus terminals and nineteen taxi stands. Additionally, the area attracts large numbers of street traders: between 6000 and 8000 street traders engage in a variety of activities ranging from traditional medicine, clothing, food, music, fresh produce, arts and crafts. These activities are present in 9 distinct markets and various peripheral locations within the public space. Due to years of apartheid planning that aimed to separate different ethnic groups, the Warwick Junction area was poorly designed. The ever-increasing number of traders caused congestion and crime was rife. When South Africa elected its first democratic government in 1994, transformation became the priority at all government levels. The project started and was implemented in the context of the political and administrative restructuring of government. In 1995, the council set aside a large budget (R4.72 million) to start the regeneration of Warwick Junction and established a structure for operating at an inter-departmental level. The project was part of a citywide experiment with integrated area-based development, which meant that planning and the management of public resources was decentralized to a geographical area and that the various departments responsible for managing the area would work together. There were two fundamentals for the project: 1. Area-based management and inter-departmental collaboration, and 2. Commitment to participation and consultation. Area-based management allows for participation of the citizens in all aspects of development planning. The conversion of what was once a congested and grimy area to exciting, interconnected markets and an informal shopping concourse are some of the triumphs of the Warwick Junction Project. The project reversed the status of Warwick in three years, from a perceived centre of “crime and grime” to a flourishing part of the inner city. There was no precedent in the design of the markets around Warwick Junction. The research and design team spent immense amounts of time observing the dynamics of the traders, how products were delivered, the use of space, how the wares were processed and displayed, different uses of space changing over the time of day, cooking processes, etc. 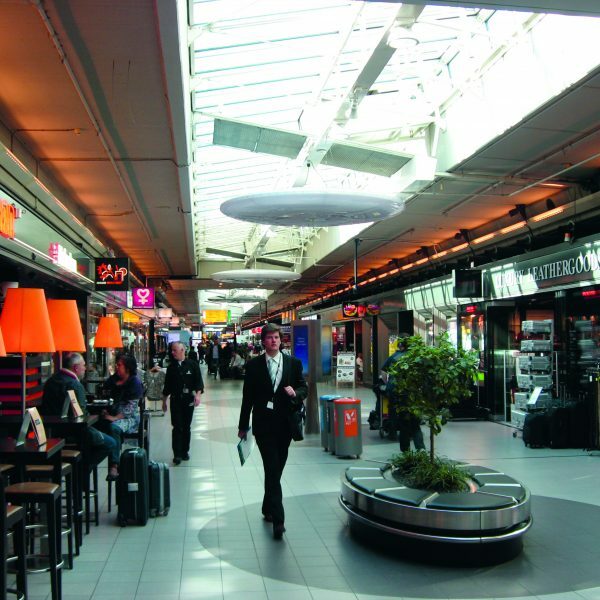 Many low cost, durable and effective solutions were designed for shading, storing, displaying, and organizing the activities and flows of people and goods. 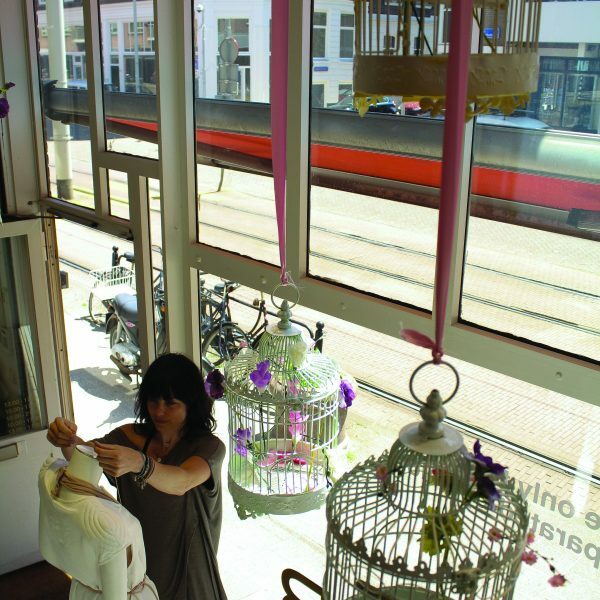 Residual spaces and uncompleted infrastructure were put to new uses to make space for a variety of markets and users. The final design improved the working conditions of the traders, gave them greater recognition, improved connectivity across the markets, and supported maintenance and cleanliness. The project grappled with the issues of maintaining a basic level of safety, cleanliness and hygiene, and the solution was to focus on a co-operative effort. The project team carries out targeted measures to improve safety, for example easing congestion, eliminating canyons, reducing concealed spaces, improving street lighting, increasing police presence and investing in community policing. “Traders against Crime” was set up on a voluntary basis. It was impressive how the traders were prepared to work together in dealing with crime. The street traders also came together to keep Warwick clean. This included an annual “blitz”, volunteer cleaners, transforming toilet and water facilities, managing pavement sleeping, addressing health issues, and providing childcare. The city’s health department worked with the street traders, training them on minimum health standards. The department also compiled a preliminary database of street vendors, detailing their activities and documenting needed infrastructure. 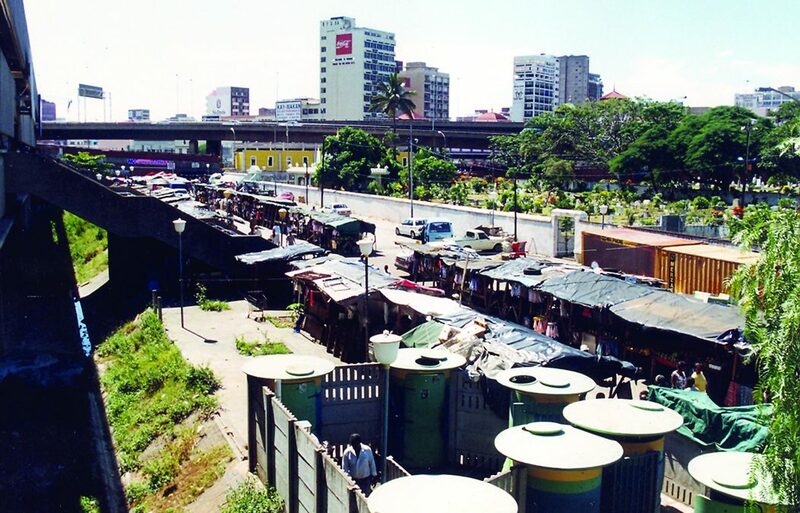 Street traders also self-organized into the Informal Traders Management Board, set up in 1995. The first task was to clean up the many years of accumulated waste along the pavements. This “face-lift” operation was a milestone in the regeneration of Warwick Junction in that it showed that a lot could be achieved through inter-departmental co-operation in partnership with the street traders. The team embarked on the marketing of the “New Warwick” to change the perception of the area as a run-down, dirty and crime-ridden area among the users, council officials, politicians, the private sector and the public at large. The exercise was important for traders and commuters as it enhanced a sense of ownership and pride in the area, but also recognized the contribution made by informal activities to the city economy. 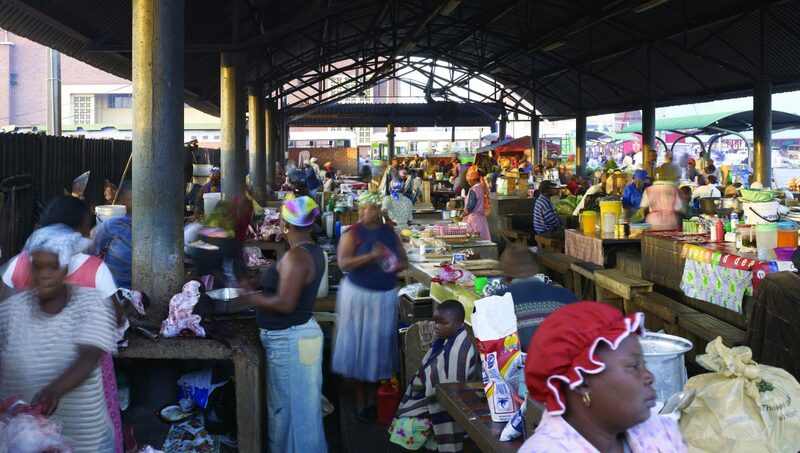 The starting point was that street traders are part of the city and from an economic and social level, they contribute significantly to the local economy. There was unanimous agreement of the need to invest in street trader management with an inter-departmental approach (with financial and personnel resources). 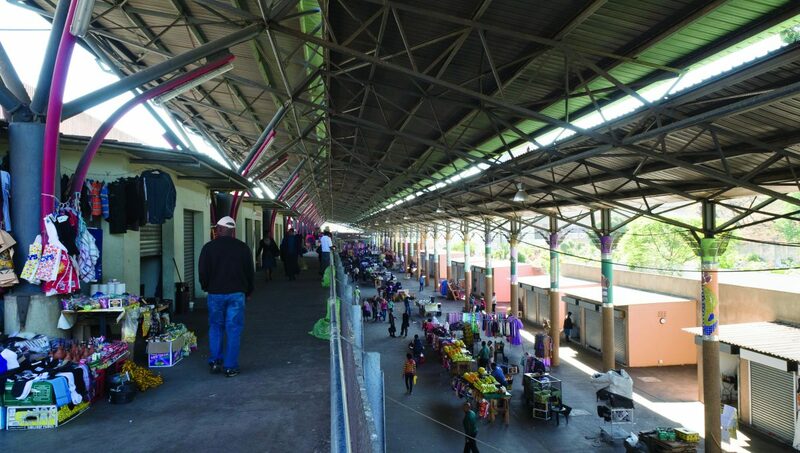 Understanding the specific needs and dynamics of the different segments of the informal economy was crucial in the final designs of the markets of Warwick Junction. Establishing a local project centre was important for the consultative approach and the success of the project.